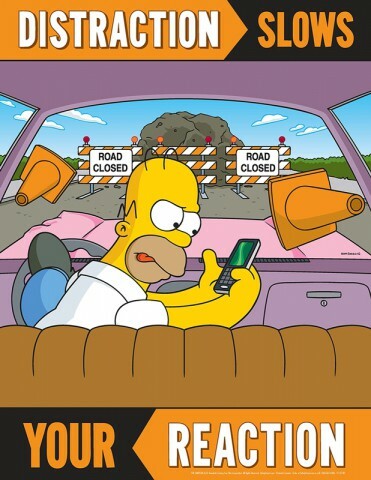 A series of eye-catching and attention-grabbing safety posters featuring The Simpsons characters has been produced by Accuform Signs. 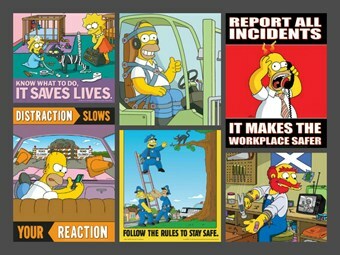 Some of The Simpsons workplace safety posters from Accuform. 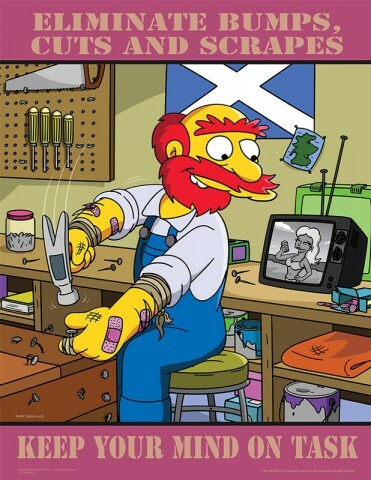 The family-owned company based in the US town of Brooksville, says the instantly recognisable characters from the world’s No.1 TV show grab attention and break through cultural and language barriers — and, importantly, grab the attention of the "critical at-risk safety demographic of young, inexperienced employees". 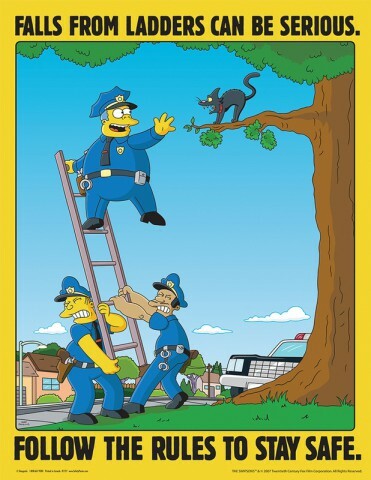 The posters, which cost US$24.99 each plus postage, are printed on 17-inch by 22-inch (43cm x 56cm) photo paper and feature characters such as Homer, Bart, Lisa, Groundskeeper Willie and Ned Flanders promoting safety concepts from forklift and ladder safety to cautious driving and environmental awareness. 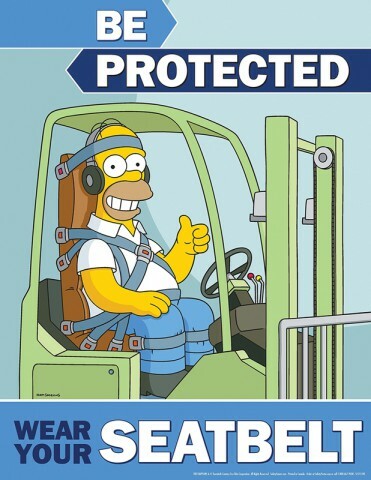 The posters are also available in 12-poster packs relating to materials handling, safe workplace, accident prevention and personal protective equipment, for US$229.99 a pack, or US$336.95 for laminated posters. 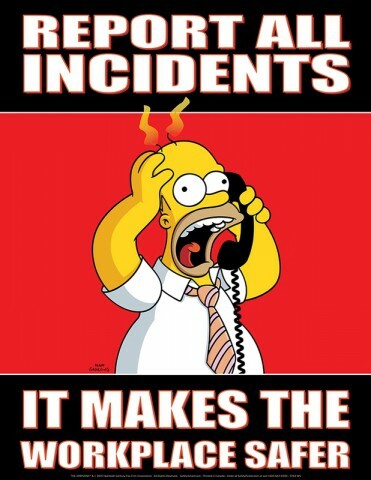 Accuform also includes the posters in its US$182.99 SAFE System Kits, which allow team leaders to conduct "memorable safety meetings". 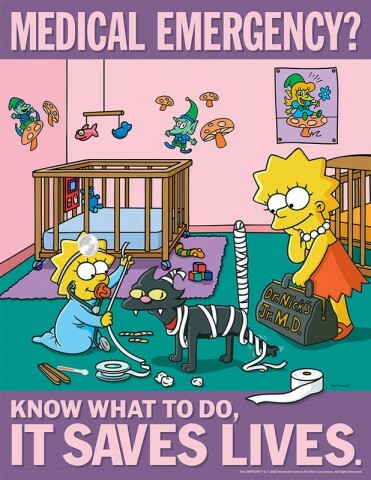 The packs include one 43cm x 56cm poster, two 28cm x 43cm posters, a supervisor’s meeting outline, two ‘table tents’ for break rooms, and 25 meeting cards with ‘scratch-off’ quizzes. 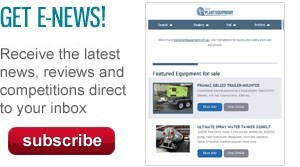 "These cards cover strategies to prevent injury in a highly engaging way," Accuform says. "Scratch-off quizzes are interactive and promote discussion and document attendance at meetings."